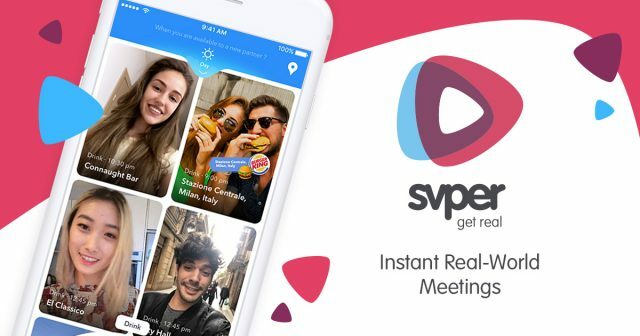 SVPER, the social, instant video-only app for forming new real-life relationships in real time, has launched its prototype SVPER app. SVPER, the first mobile app that rewards you for meeting new people in the real world. It replaces user profiles, pictures and text messages and instead, employs instant video invitations designed to encourage users to convert online connections into real-life relationships. The SVPER community has provided excellent feedback on the prototype app and this will be used to further improve the app. Furthermore, SVPER will be continuing its roadshow in Europe and the Middle-East to gain additional venture capital funding to ensure maximum success after the ICO. In order to incorporate the community feedback and allow sufficient time for due diligence checks and commitment of funds from interested parties, the ICO is extended to 31 December 2018.